Ugh, I am sick. The kind of sick where you don't care about anything. Nothing is funny or interesting. My guess is, it's a sinus infection. If only I had known about this tool. 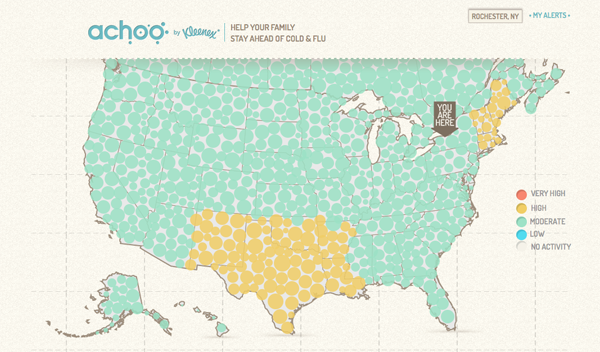 Kleenex created a forecasting model called ACHOO that you can access online. 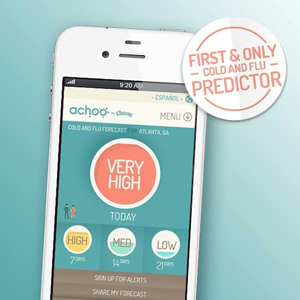 It will predict where germs will strike within the next three weeks. Looks like Rochester has moderate risk the next three weeks. If you see your city is going to be in the red with high risk, time to lock yourself inside and wear a mask. 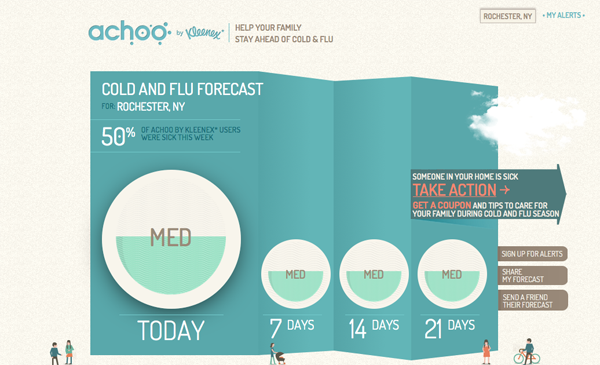 The tool also has useful information like how many boxes of tissues you will use in a year and when to call the doctor. 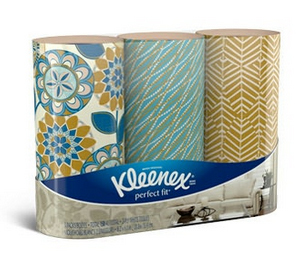 PS - how cool are these Perfect Fit tissue boxes? You know you are sick when you get excited about tissue boxes.